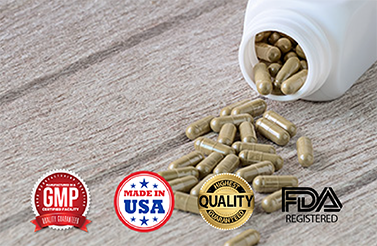 BioThrive Sciences is proud to offer top-grade post-workout supplements that are manufactured with custom formulations for ultimate consumer satisfaction. Although the main target consumer of post-workout supplements is active athletes, the number of casual exercisers interested in sports nutrition supplements is increasing. With mainstream media increasing awareness, bodybuilders and even those that are looking to manage their weight are seeking post-workout supplements to maintain health and promote their active lifestyle. Reduced recovery time, an increase in stamina, and an increase in general wellbeing are just some of the benefits that consumers note when they take post workout supplements regularly. Protein dominates the post-workout supplement market, with sales estimated to reach $11.7 billion in 2019. BioThrives Sciences prides itself on offering retailers high quality post-workout supplements. With a Doctor of Pharmacy on site, our products are science backed, containing appropriate dosages that provide effective results. Not only does BioThrive Sciences handle manufacturing of high quality sports nutrition supplements, we handle every aspect of production, including label design and printing. Additionally, we offer custom formulations so that you can reach every distribution channel for your consumers. We currently assist gyms, fitness stores, and supplement retailers with our premium post-workout manufacturing services. BioThrive Sciences is proud to provide quality post-workout supplements with premium ingredients. To learn more about our private label manufacturing, printing and design services, contact us online or call (844) 263-3657 to learn more. We look forward to serving you with the best possible customer service and post-workout supplements!